Different indications require temporary or permanent urinary diversion. UROMED therefore offers you different solutions. On this page we will give you an overview of our product range from safe kidney drainage to intermittent self-catheterisation, which offers the patient the greatest possible user comfort. In a nephrostomy (renal fistula), the renal pelvis is punctured through the renal tissue and the urine is discharged via a catheter through the skin to the outside. The renal fistula can, for example, be inserted during a kidney operation to ensure urinary diversion postoperatively. Urine needs to be drained from the kidneys when, for one reason or another, a temporary bypass of the urinary tract is required. Maximum precision is vital when designing and inserting the catheter so as to avoid complications such as injuries to the renal tissue or infections. UROMED nephrostomy sets allow safe drainage. Maximum patient safety is guaranteed thanks to the excellent fixation and minimal space requirements in the renal pelvis. The sets are also economical and quick to insert. Our comprehensive UROMED range offers you a wide selection of products for this demanding area of care. For the long-term internal stenting of the ureter, high-quality permanent stents are needed that prevent encrustations, i.e. deposits of calcium and other salt crystals, and shorter change intervals as a result. The special material of the »HEPARIUS®« permanent ureteral stent from UROMED means it very reliably prevents crystallisation processes in the urine. It offers long-term stability and can be used for up to 12 months. For long-term care of up to three months, we recommend »HYDROPUR®«, made from aromatic polyurethane, with its special surface seal to ensure excellent gliding. 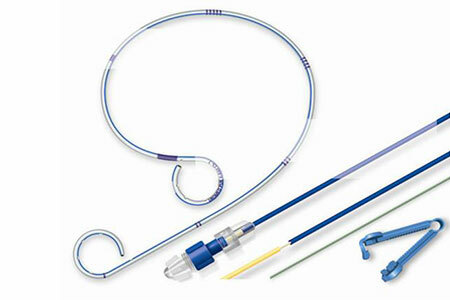 You can find the product range and the different versions under “Permanent ureteral stents”. 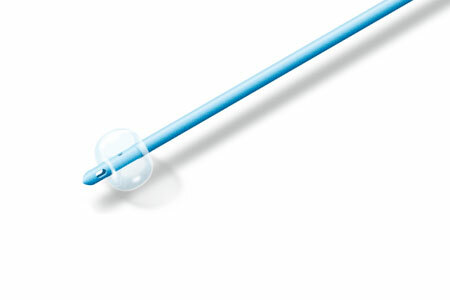 The suprapubic permanent catheter is indicated where there is a need for artificial urinary drainage over a longer period and intermittent disposable catheterisation is not possible, or if the urethra needs to be bypassed following surgery. Excellent wear comfort and a low bladder infection risk are factors in favour of this type of drainage. Furthermore, incontinent patients with a suprapubic catheter can receive toilet training because the urethra and the sphincter are not affected by the catheter. 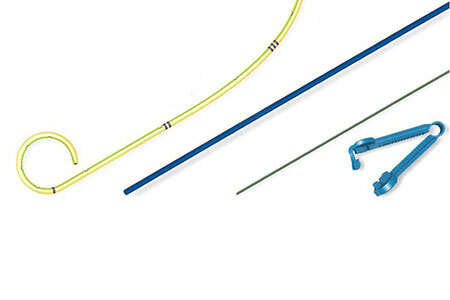 UROMED catheters and puncture sets for suprapubic drainage are consistently geared towards quality – with the atraumatic tip and specially polished cannula for maximum patient comfort as well as outstanding guide stability for maximum user comfort. 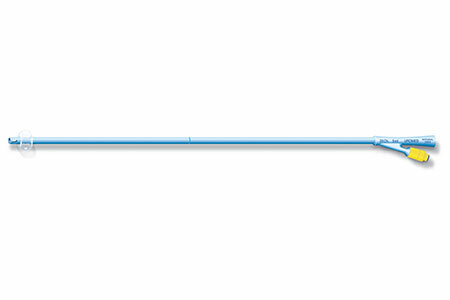 UROMED indwelling catheters for permanent care are made from 100% medical silicone and are of the highest quality to avoid complications. 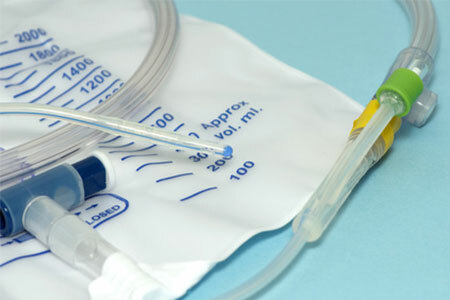 You can find the comprehensive range of sets and catheters under “Suprapubic urine diversion”. This form of urinary diversion is chosen if the bladder needs to be rested for the short or medium term and there are no contraindications to access via the urethra. 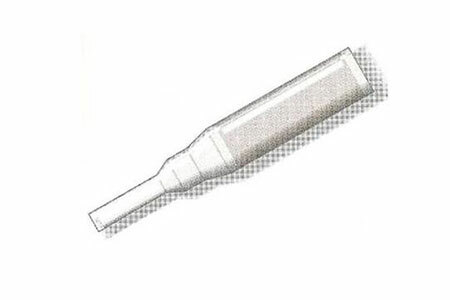 You can find the different versions and catheter tip types under “Transurethral urinary diversion”. 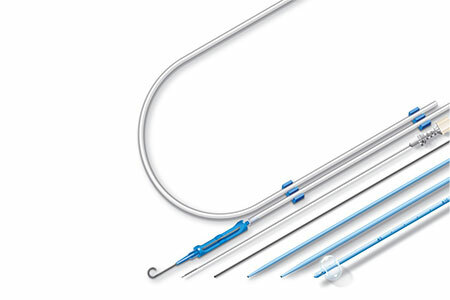 Intermittent self-catheterisation (ISC) is ideal for patients with neurological bladder emptying dysfunction who, following professional instruction, are able to use the catheters themselves. The ISC is also recommended for residual urine formation, which can be caused by prostatic hyperplasia for instance. 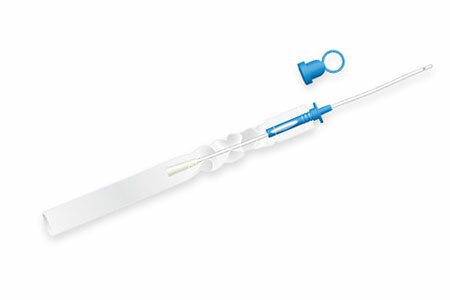 The »SIMPLYCATH®« catheter from UROMED reduces the risk of infection to a minimum, since a guide tip prevents contact between the catheter tip and the distal urethra. 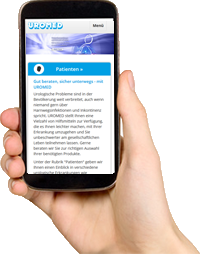 You can find more information on ISC with »SIMPLYCATH®« at www.simplycath.de or under the ISC products. For mild urinary incontinence, the urinal condom* offers patients security and freedom of movement. The restoration of continence is also encouraged, and corresponding training can be undertaken without restriction. UROMED urinal condoms are made from high-quality silicone and are supplemented by custom-selectable bag systems. The German Network for Quality Development in Nursing (DNQP) has developed recommendations with the National Expert Standard for the promotion of urinary continence in nursing, which provide continence-enhancing therapies and aids depending on the indication. We fully support these recommendations with our range of products.